Galway Lawn Tennis Club - 2 minutes. Pearse Stadium Gaelic Football and Hurling sports grounds within easy walking distance. Galway Golf Club and Driving Range - 5 minutes. Leisureland Holiday Complex - indoor swimming pool - 2 minutes. Renowed pubs and restaurants locally. Adjacent:Galway Bay, Ardilaun and Salthill Hotels. 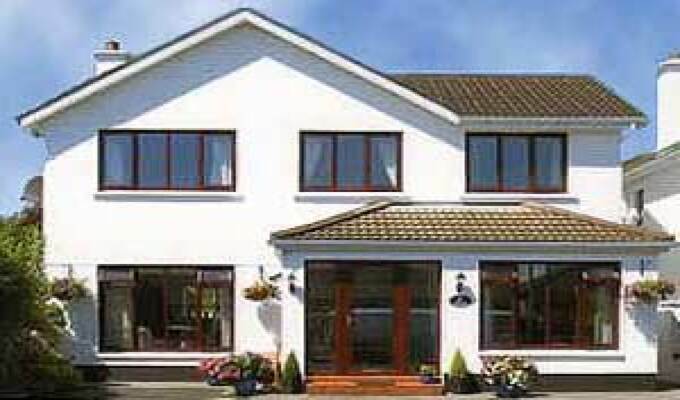 Located just 200 metres from the Salthill Promenade, beach and nightlife and just 2km from Galway City Centre. Close to bus routes. Warm , comfortable and welcoming, Spotlessly clean, 2mins walk from the prom and main strip. Margaret is a fantastic host. Will definitely be going back there. We had a very nice stay. Friendly people, excellent breakfast, clean rooms and a quiet surrounding area for relaxing. We recommend you the accommodation. We'll definitely be back. We had a wonderful stay at Glenariff B&B. Margaret was extremely welcoming & gave us excellent suggestions about places to visit. The accommodation was clean & tidy & the breakfast was delicious. A variety of options were available including continental & full Irish options. I would definitely stay here again if I visited Galway.